R. P. Hammond, Jr. C.E. We have a collection of early map reproduction of Monterey County. 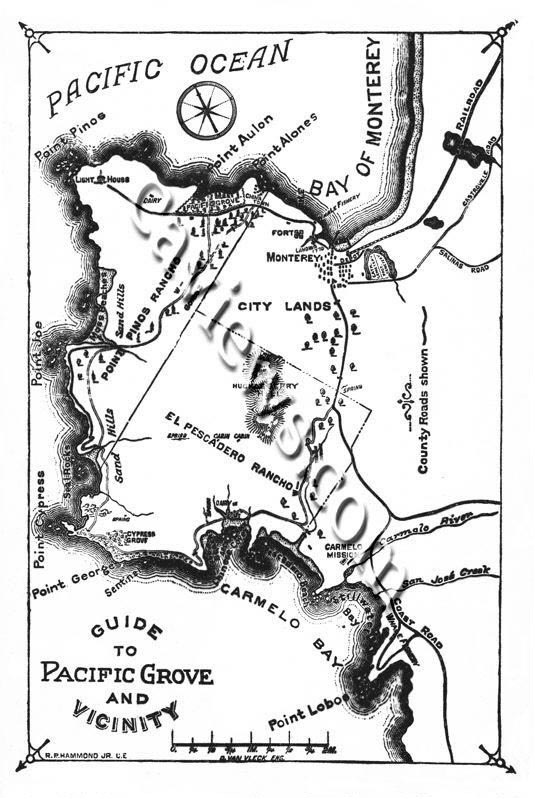 Early California and Monterey regional history. The Monterey area includes coastal areas from Watsonville, Monterey, Pacific Grove, Pebble Beach, Carmel, Big Sur, Fort Ord, Salinas and central California. The official 1898 Map of Monterey County by Lou G. Hare, Monterey County surveyor from the early 1890's to 1914.